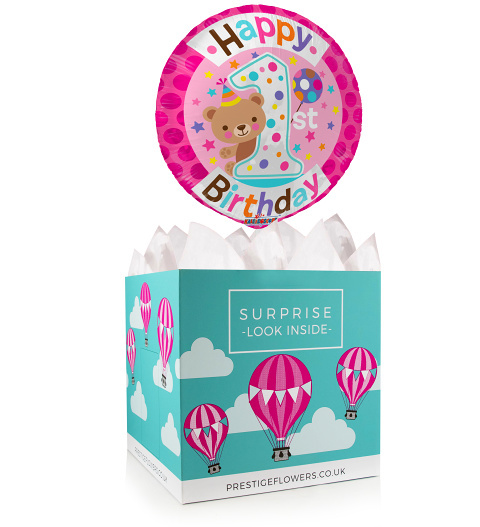 We have selected a beautiful 18-inch helium balloon perfect for celebrating her first birthday. We have paired this balloon with a colourful gift box. Take a look at our optional extras like cuddly bears and don't forget to send us your personal message to be included with the gift.